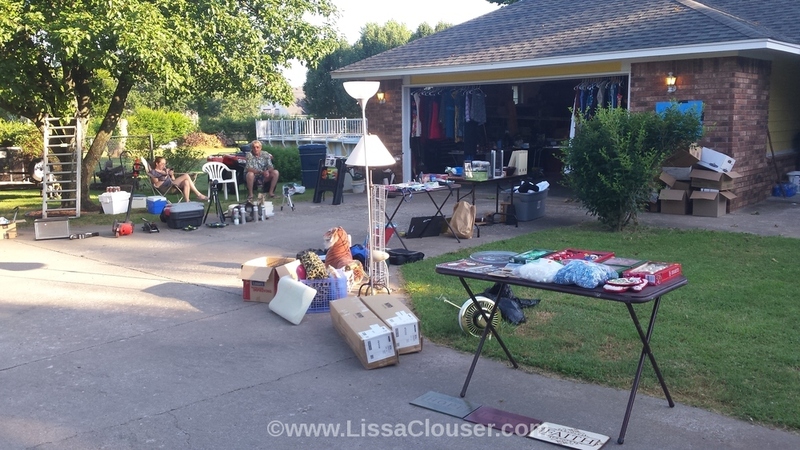 First off… a very successful garage sale was held. The picture above is from Not-My-House, was taken on Day 2, and still doesn’t show everything that was for sale even then. There are multiple bins of clothing behind me and plenty more tables full of odds and ends in the garage. Everyone involved made money, got rid of many things taking up too much room in our homes, and at the end of the day… everything left was donated to a local thrift charity who came and picked it all up. The following weekend was the 4th of July. We celebrated with fireworks and grilled food at our house on the 2nd, the hubby and I watched the city’s display from atop a hill a mile away on the 3rd, and I camped on our own front porch on the 4th. Our next door neighbors own a fireworks stand and the neighborhood lights up beautifully every year. Last week I was in a continuing education class for my day job in insurance. The class held perhaps 25 individuals from the area. Before the class began, the instructor asked that we introduce ourselves, state how long we’d been in the industry, the company we currently worked for, and what our hobbies were. More than one person had no hobby. They either worked too much or lost themselves in the wants and needs of their family enough that they didn’t know what they liked as an individual. Week 4 of this project fell on the weekend of my 5th wedding anniversary. 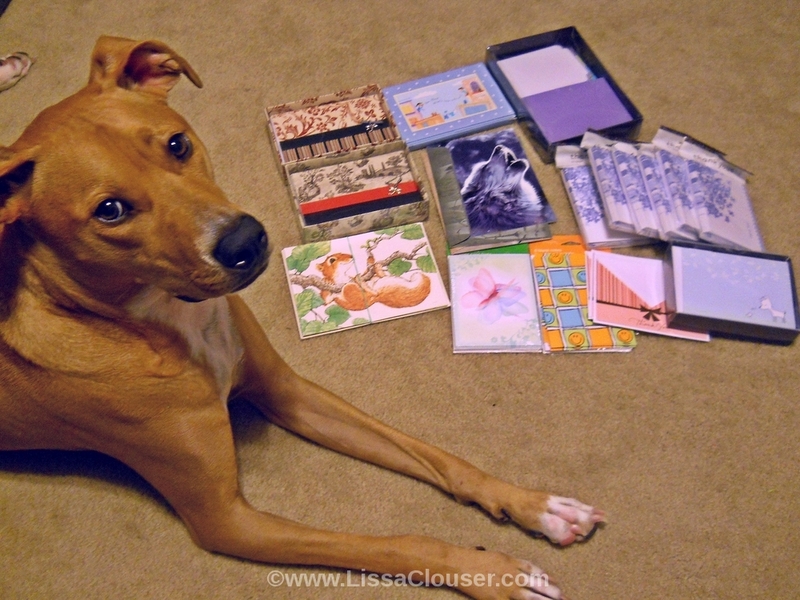 I decided not to tackle anything resembling cleaning or organizing. Instead, I’d like to talk about perhaps the biggest point of this project. 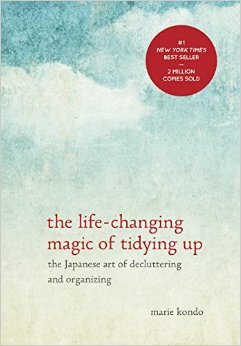 When I read “The Life-Changing Magic of Tidying Up: the Japanese Art of Decluttering and Organizing” by Marie Kondo, I was hoping to find a few tips and tricks I could apply to having a more organized household. Anything to give me a shove and a bit of motivation. But aside from a well-thought-out plan for creating organization in one’s home, this book taught me to truly evaluate whether or not an item gives me joy. That is one of Marie’s key points. If it doesn’t make you happy… why do you have it? This has helped me evaluate the things in my closet and in my kitchen. It has helped me clean out makeup I don’t like and personal toiletries I didn’t ever use. I expect this change in thinking will help me as I continue to tackle the remainder of my house. But I feel like something else needs saying. Sometimes the things you love have absolutely no practical use… and that’s okay. This whole project is about finding happiness within your home, and learning how to align the physical aspects of its contents with an atmosphere that creates joy in your heart.